Everyone knows that 6,000,000 is a big number, but exactly how big is it? 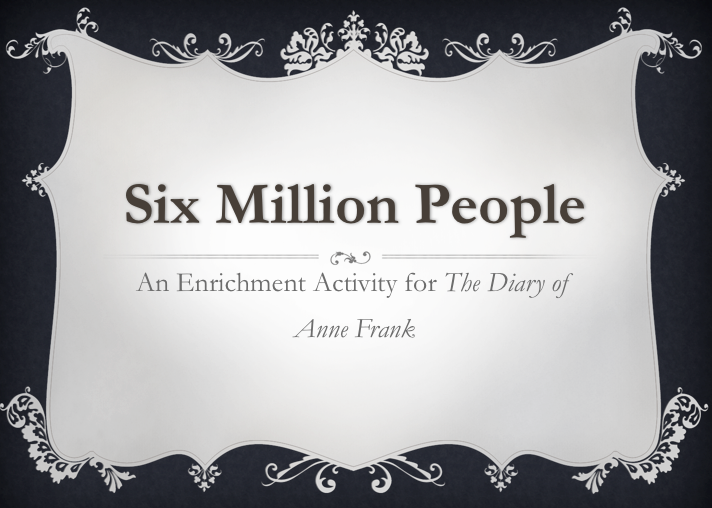 With this activity, students will get to incorporate basic math into a language arts lesson in which they get a clearer understanding of just how many people, like Anne Frank, were killed during the Holocaust. This activity involves taking a closer look at a smaller classification group to understand the big picture. The Teachers Pay Teachers Cyber Monday + Bonus Tuesday Sale today and tomorrow! Use the promo code CMT12 and receive 10% off all Teachers Pay Teachers' products. Take an additional 20% off all of my products at TpT. The song is a rap that students will love, and can be found on Dr. Jean's "Totally Reading" CD or for download at her site, http://www.drjean.org . Teachers Pay Teachers Cyber Monday + Bonus Tuesday Sale! 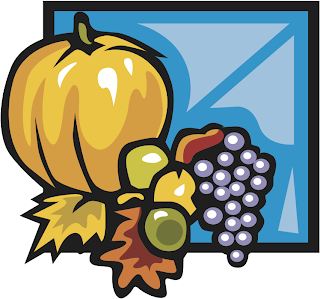 Receive up to 28% off at Teachers Pay Teachers on November 26 & 27! Use the promo code CMT12 and receive 10% off all Teachers Pay Teachers’ products. Take an additional 20% off of participating products. Teachers Pay Teachers Cyber Monday + Bonus Tuesday Sale! 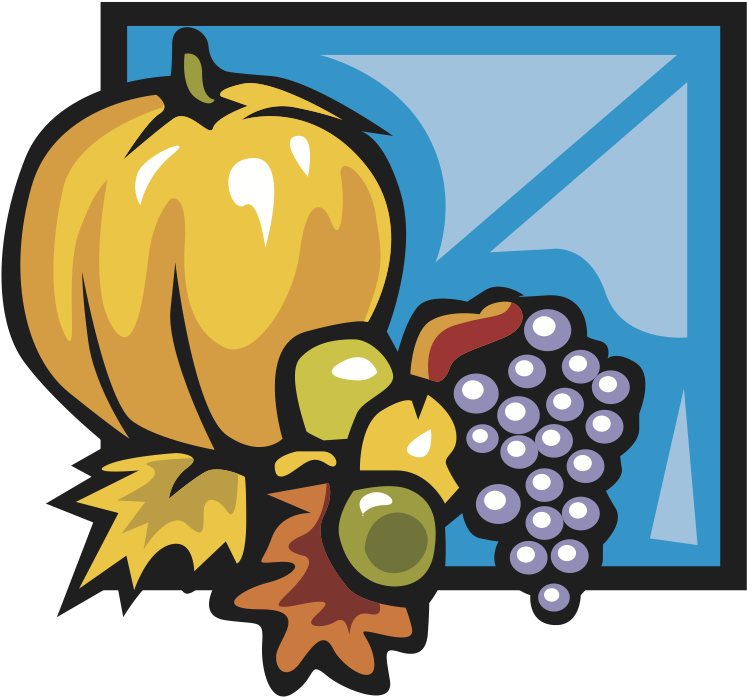 Use the promo code CMT12 and receive up to 28% off TpT products which are on sale November 26th and 27th. Go to www.TeachersPayTeachers.com and get an early start by making your wish list. WHAT KIND OF POWERPOINT IS THIS? This is a PowerPoint presentation converted to an on-line format that virtually any computer can view simply through a browser, so you must be connected to the Internet. You are downloading an .html file that automatically loads the presentation from the Internet. On Mac and PC, you can make the presentation full screen with no browser border by pressing the letter "F". On iPad, you may simply have to maximize the window the old-fashioned way. This is a really fun way to introduce and review colors, as well as introduce or review adjective agreement. You'll even work in some numbers and letters, too! The fun really starts when the words show up filled with the *wrong* color (the word "rojo" is filled green, then yellow, then eventually red). 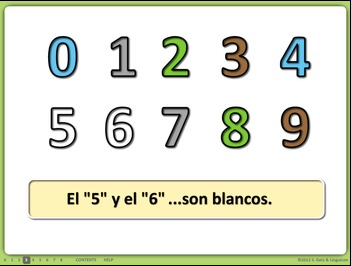 Students love to respond respond saying, "está mal", "no está bien", "no es correcto", "¡eso no es rojo, es verde!" SLIDES 2 and 3 show various arrays of numbers filled with different colors, and the students say what color each number is: "el 2 es verde", "el 9 y el 3 son grises". 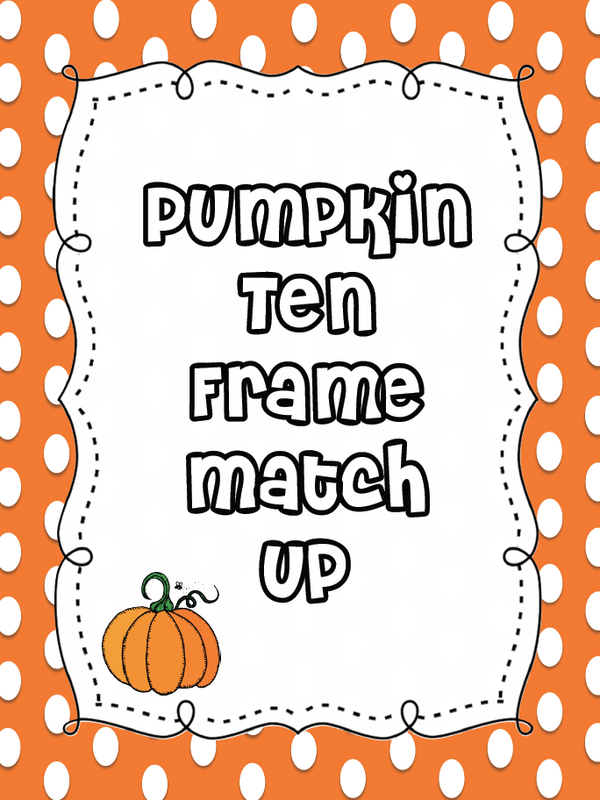 This gently leads students from singular adjectives to plural adjectives. At the end of SLIDE 3, the numbers 0 through 9 switch one by one to the letters A through J. As the number changes to a letter, the color may have to change ("El cero es rojo. La 'A' es roja"). SLIDES 4 through 8 show an array of 2 numbers and two letters. 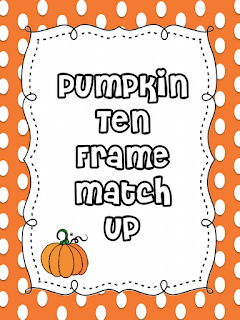 They fill with the same color alone or in pairs, and the students have to make a full sentence, and have to switch from masculine to feminine and singular to plural randomly and on the fly. Like most of my presentations, you can easily decide to do any slides you would like to suit your needs. 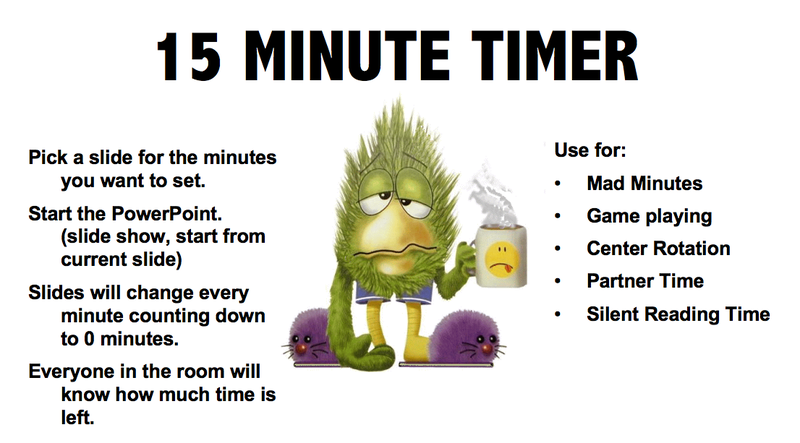 You may very well come back to this presentation as a warm-up, or students can do it for a 15- or 20-minute activity on a day when you have a substitute. - it is fantastic if you need a last-minute substitute lesson plan, and a few trustworthy kids can divide up the job of leading the class through the presentation. 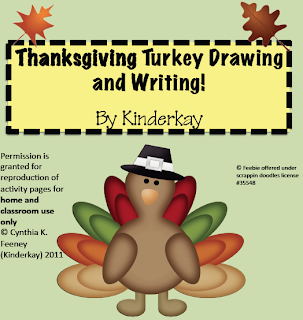 FREE Turkey Writing Fun Freebie! This is one activity included in my unit focused on There Was an Old Lady Who Swallowed a Bell. Use this printable to teach author's purpose. 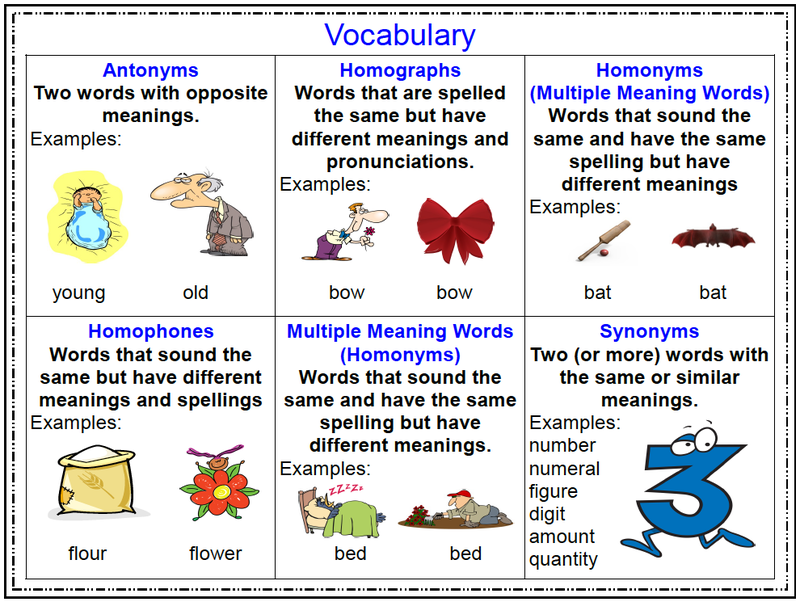 If you like this activity please take a look at the whole unit. 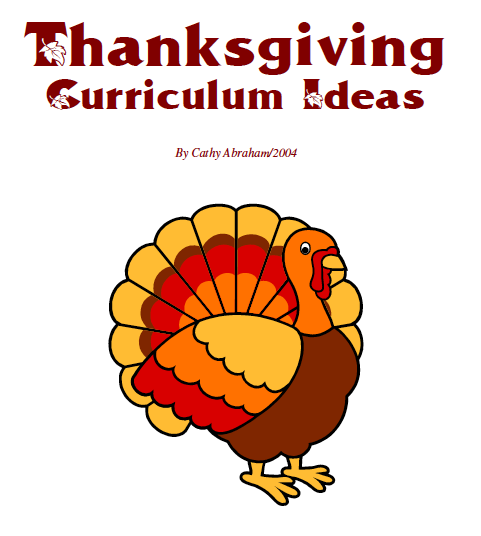 Unit includes songs, fingerplays, science, math, art, bulletin board ideas, dramatic play enhancements, book list, home/school connections, literacy, cooking, sensory, facts, stories, outdoor ideas, flannel board pieces, games, fiels trip ideas, outdoor activities, poems, Spanish, and teacher-made game ideas on Thanksgiving theme. Over 50 pages! This FREE Middle School reading list consists of seven books or short stories with a description of each. 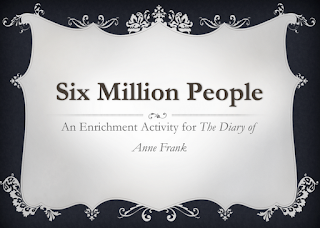 It was developed for students with reading skills from 5th - 9th grade. 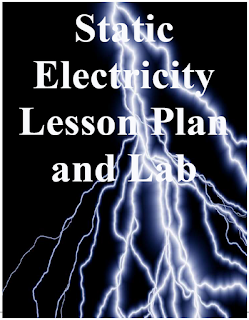 Links to a variety of lesson plans, study guides, tests and power points are included in the list and are available by typing "The Teacher's Lounge" in the search box at TeachersPayTeachers.com. Here is a fun little activity for you to use in class or to send home with your students for the long weekend. This activity is a blend of creative and critical thinking, research, and even a little math. Answer key included. 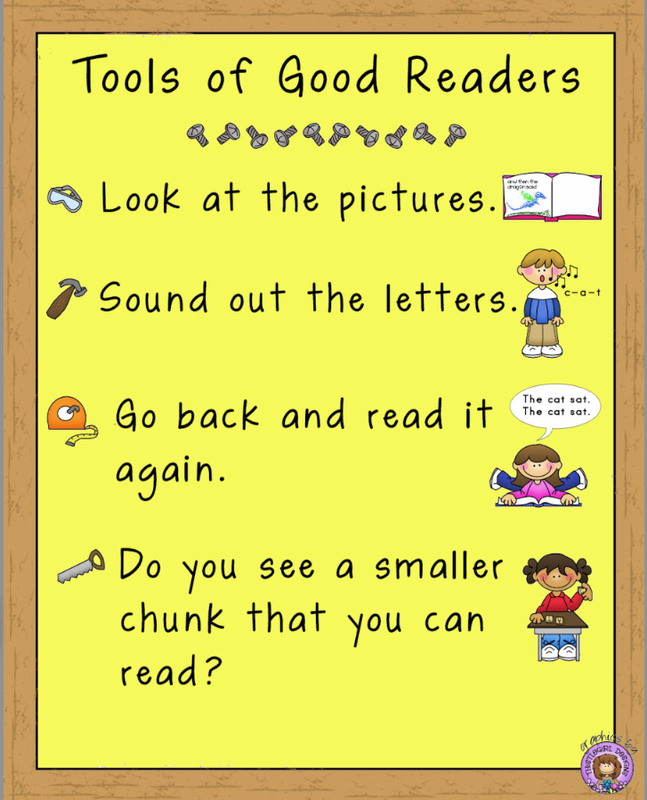 Kindergarten and first grade students can strengthen their beginning reading and writing skills as they enjoy this cute emergent reader. This book contains a repetitive text pattern, focuses on sight words, and is a great way to promote early reading success. B. An emergent reader with one sight word on each page left out for students to write themselves. 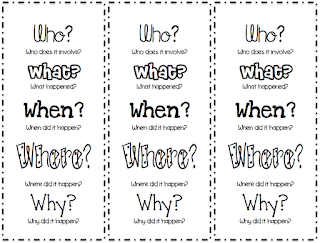 Great for use in a literacy station. C. A larger version in which the students can copy the text. All three versions include the cover and 8 pages. 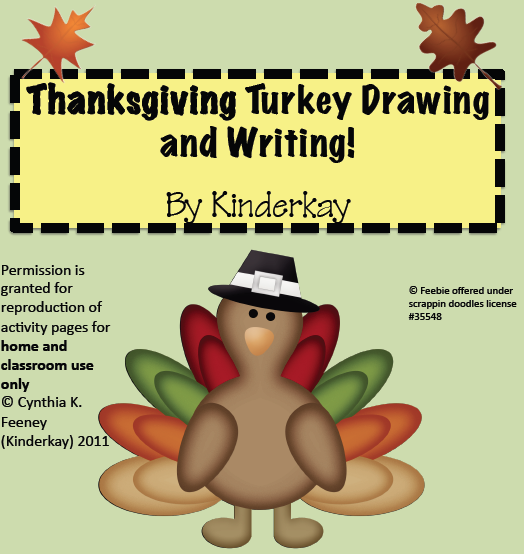 This activity was such fun for my first graders! They took them home to put on the Thanksgiving table where they were going to sit. This product includes tracers and directions. 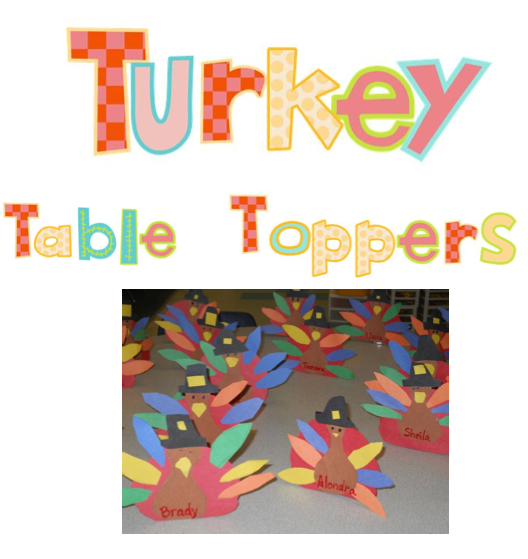 For more Thanksgiving projects and Math centers, check out my Math and Literacy Thanksgiving Fun Unit. Low Cost Science - Can Paper Clips Float? * FREEBIE * Print on cardstock and laminate for a long shelf life! 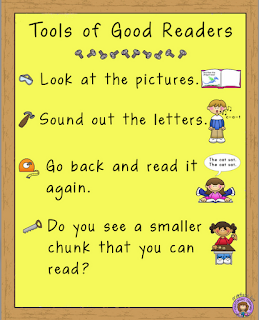 Students will enjoy these bookmarks, as they help remind them of key elements in the story. 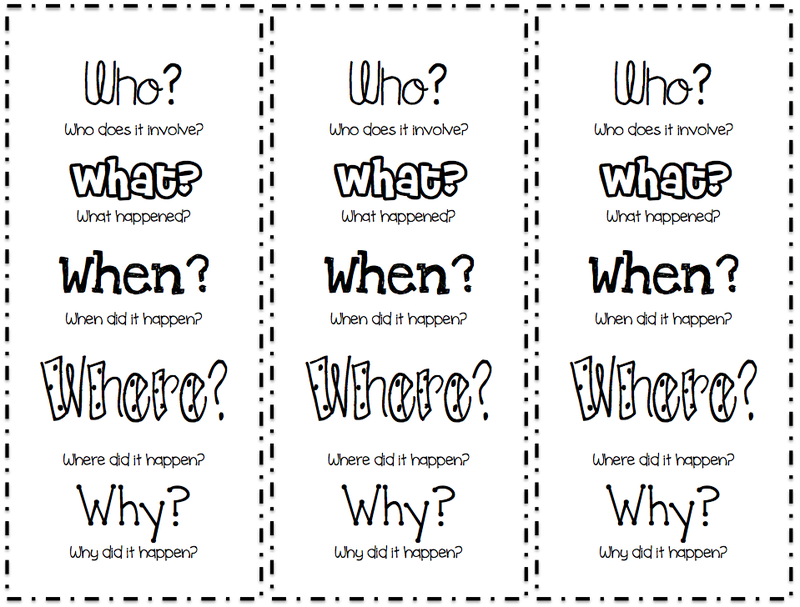 Based on the 5 W’s (who, what, when, where, why), this bookmark is sure to be a hit! The Common Core requires a realignment of a reading program as well as additional skills and strategies to better comprehend text. 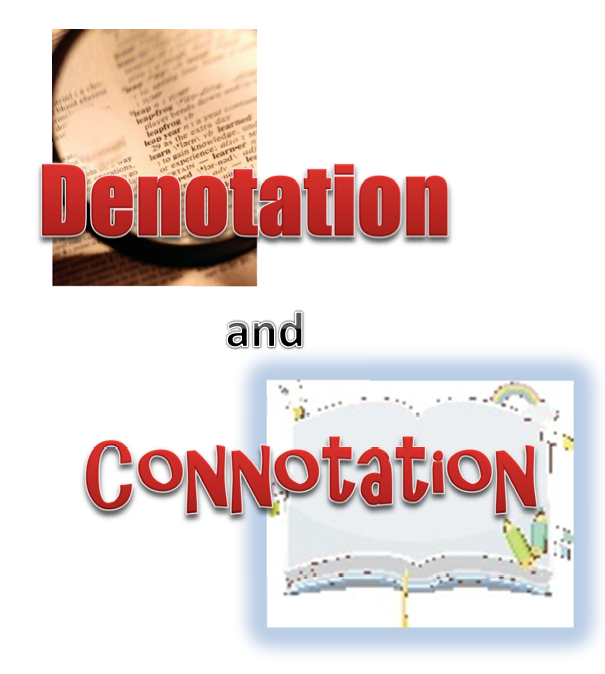 Activities that teach denotation and connotation will enable students to gain access to author’s techniques, which will in turn improve their reading as well as their writing. 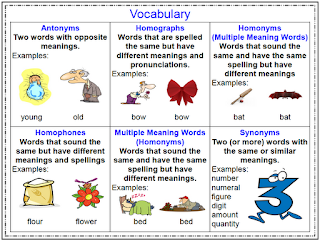 This mini-lesson and activity defines the two and provides a large group of words for small groups or partners to sort into Neutral, Positive, or Negative groups. This activity can be done on chart paper or easily adapted to Interwrite boards. Please leave your feedback. I hope it helps you in your classroom! Laurah of "The ESOL Odyssey" created a Linky Party for teachers to help other teachers who have lost everything because of Hurricane Sandy. Click on the link below to find out how you can help. I will be donating my "Word Problem of the Day - 200 Word Problems & Charts." What can you donate to help teachers who lost all of their lessons? 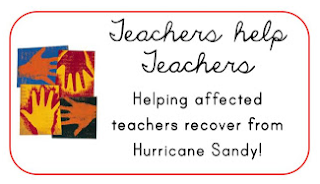 If you are a teacher who has been hit hard by Hurricane Sandy and need lesson plans or hard goods, click on the link below and get help from more than 70 teachers.